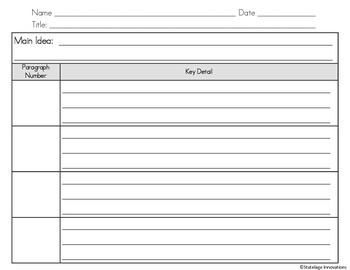 This graphic organizer can be used to help students effectively write a summary of a fiction or nonfiction piece. Students write the main idea of the whole article and then list one key detail in a complete sentence for each paragraph. After, have the students combine all of the sentences to create a concise summary!